The DeadBeat are a four piece indie band from Dublin, comprised of vocalist/guitarist’s David McGorman and Gareth Fitzimons, bassist Josh Stanley and drummer Darren Fitzsimons. The DeadBeat’s sound is firmly rooted in that classic indie sound, far from being straightforward landfill indie, of which there is already too much; this is melodic indie/alternative rock done with a swagger and poise. Vocals flickering through a haze of rocking guitars, catchy beats and often awash with shoegaze fuzz and distortion, just check ‘Chase The Sun’ and ‘Phoney’, and you will get the picture. They obviously have a predilection for ’80s/’90s indie and it certainly shows, it is nice to find a band unperturbed with what’s ‘in’ and making music they have a flair for. 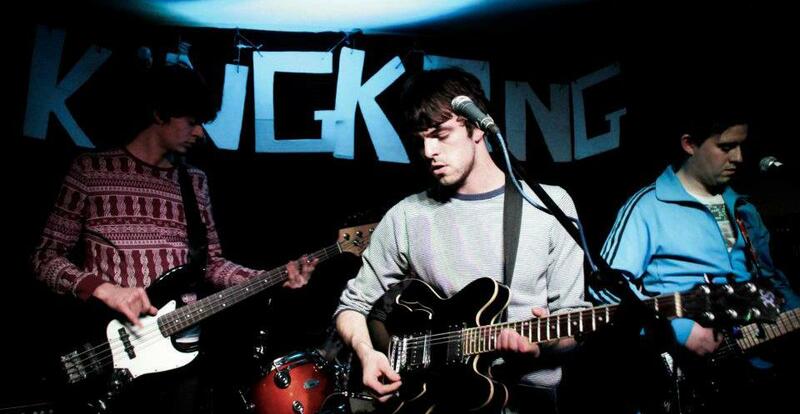 Throughout 2012 they’ve been busying themselves gigging around Dublin and self-releasing a host of tracks online. Judging by the tracks to date, it is an approach which is paying dividends. The DeadBeat have begun on their debut EP, which will be released sometime in the near future.